Sign up for Broadjam today to follow Gavin Coyle, and be notified when they upload new stuff or update their news! 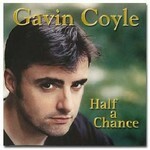 A blend of pop, rock and folk highlighting the original compositions and incomparable voice of Irish singer Gavin Coyle. Label Credits Ocean Song Ltd. Quirky song reflecting on childhood and the changes life brings.